A few weeks ago, Kirk Cameron revealed he was making a new family movie with comedian Tim Hawkins. 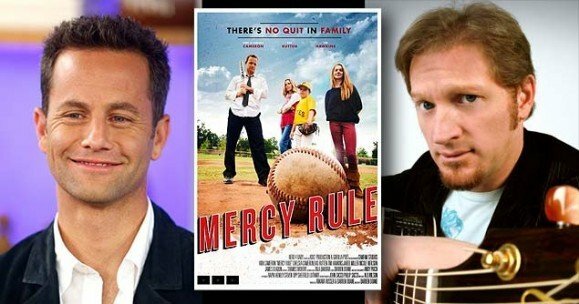 In an exclusive interview with Movieguide®, Kirk revealed the premise of his next movie MERCY RULE and stated when audiences can expect it. When Kirk made the initial announcement, he also asked his 1.4 million fans whether they’d like to see the movie in theaters, on DVD or available for digital download. The response was overwhelming, people want good family friendly content now, so Kirk and his family studio Camfam Studios decided to give audiences what they want. MERCY RULE is available for purchase right now on DVD and Digital Download thanks to an exclusive partnership with Family Christian Stores. Those who purchase it on DVD should receive it by Valentine’s Day 2014. Check back soon for Movieguide®’s review of MERCY RULE. In addition to MERCY RULE, Kirk is currently working on a Christmas movie expected later this year that addresses the importance of the holiday and its Christian roots. Watch the full video of the interview below.